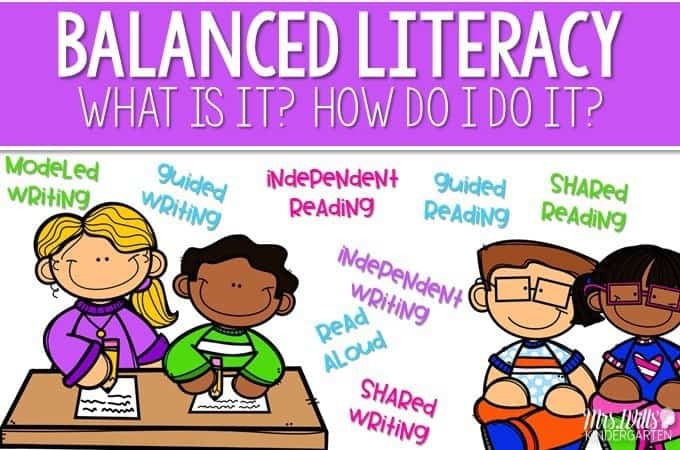 What is Balanced Literacy? AND How Do I Teach it? Balanced Literacy Approach? What is balanced literary? How do I teach balanced literacy?… All the questions… Get comfy… grab a cup of tea… this might prove to be a long post. The other day in our Kindergarten Facebook group, the subject of the various balanced literacy approaches came up, so I promised to help explain them. Many of these I have blogged about in the past, so be on the lookout for links to related posts. That will help you get a better glimpse. You may want to pin this post or save it in your bookmarks so you can find it again. It is also important to point out that this is how it looks in my kindergarten classroom. 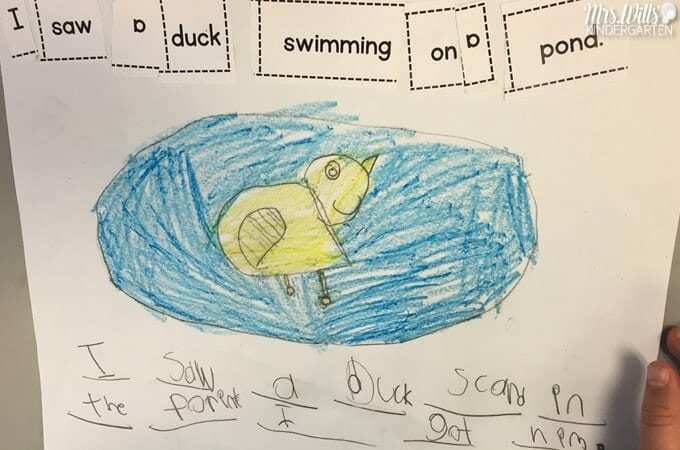 This is also how I suggest it look in first grade. A few years back I did a webinar and blog post that goes into great detail on interactive read aloud’s. You can read that blog post HERE. 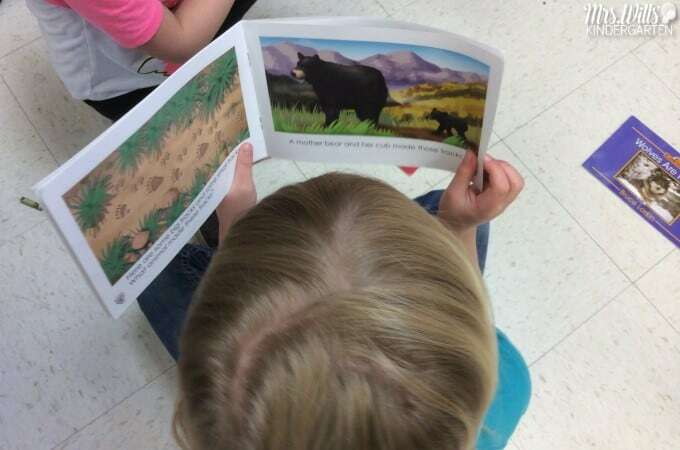 We use Guiding Readers for our read aloud instruction. Each unit is extensively planned for you. You can see those units HERE. 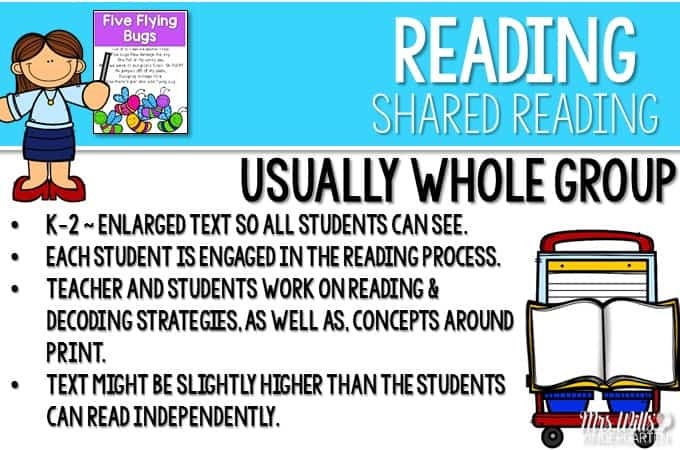 When I was going through my teacher prep courses, I was told, “Used shared reading and revisit the same text each day during the week.” So when I went to put it into practice, I nearly lost my mind reading those big books. By Wednesday I was bored out of my mind! SO, I switched to poems. 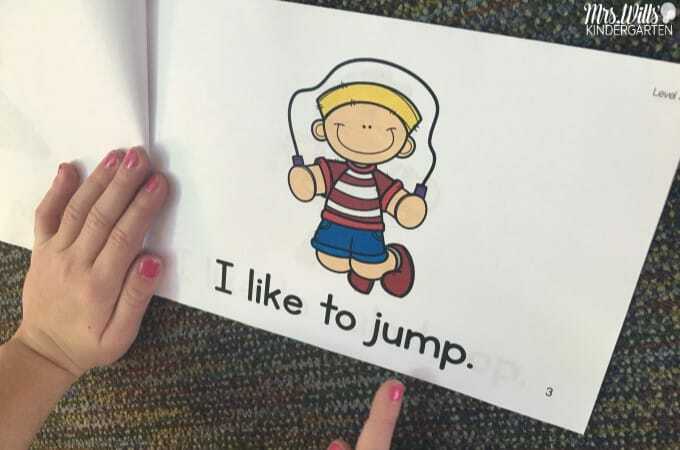 I love to use poems for my shared reading time. My students love them and they are addictively fun! You can read a post on how I take a poem and use it over the course of 5 days to build fluency. You can see that post HERE. You can see my Poems HERE. You can see my Poem VIDEOS and MUSIC HERE. This is a HUGE subject. I recently completed a webinar on Guided Reading (It is FREE). 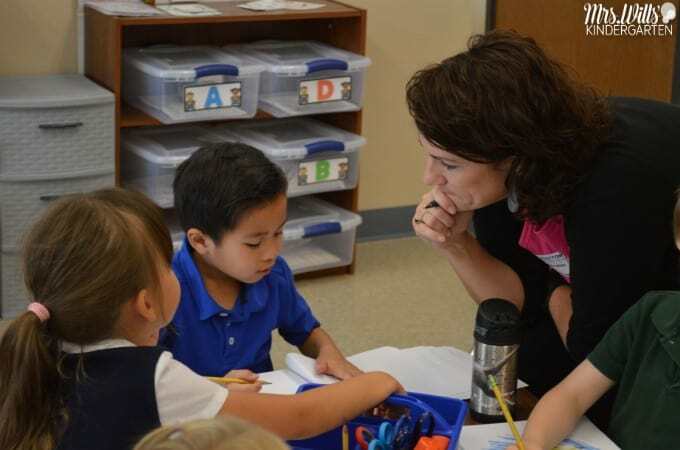 You can find more information on guided reading and the webinar by looking at THIS post. HINT: There is a free resource in that post. Guided reading is also when we can differentiate our word work and we work on sight words. You can see all of our Leveled Text resources HERE. As yes, we love looking and reading books. At the beginning of the year, we read the pictures. As the year progresses, so does our reading! 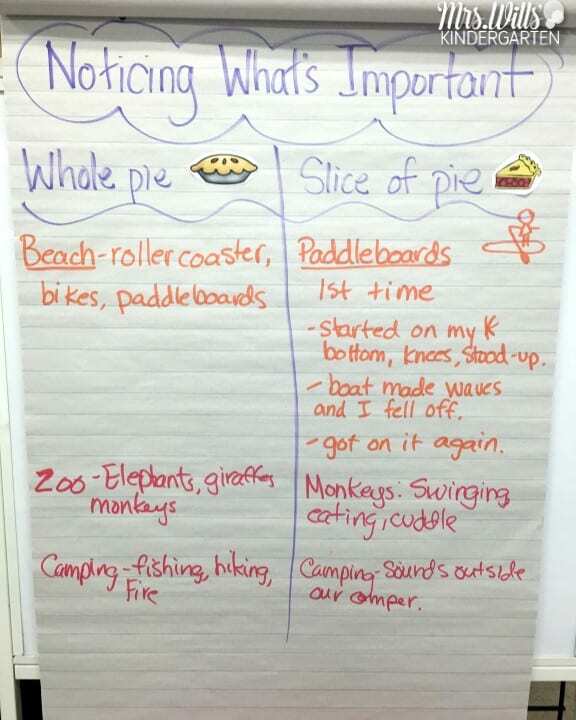 Here is an anchor chart we used to talk about the difference between a narrative (whole pie) and a small moment (slide of pie). In an unrelated piece, I modeled getting rid of those CRAZY cAPiTAls! 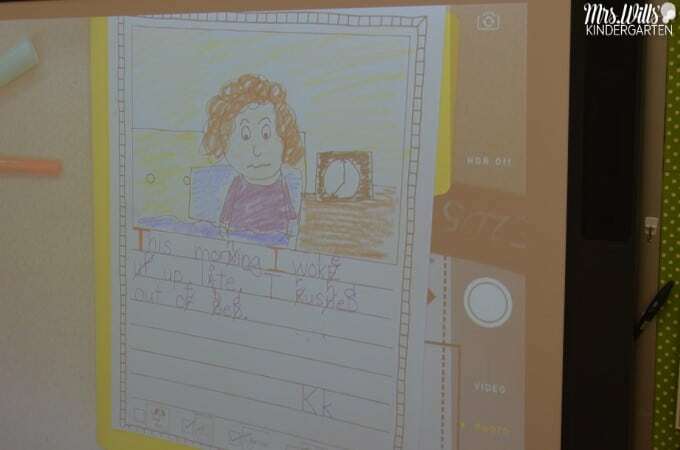 Since we were writing in books at this point of the year, I model book writing and share it via the document camera. 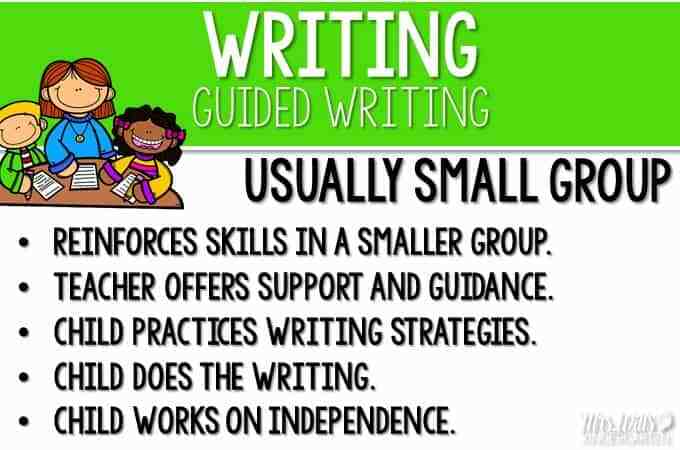 You can see our writing curriculum HERE. Again, most of my shared writing takes place during writers workshop time. 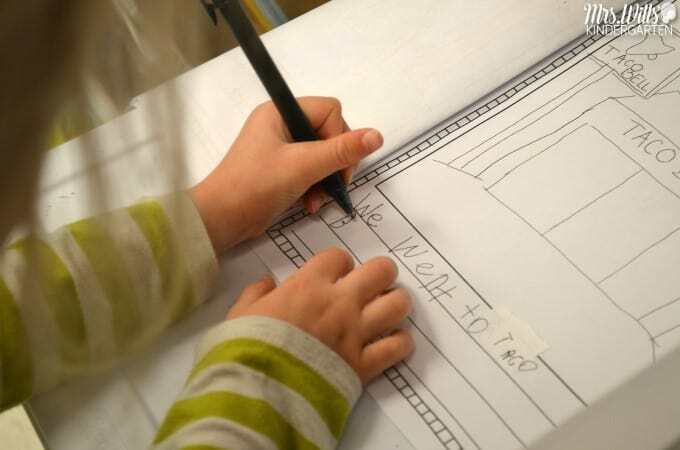 Interactive writing can take place during writers workshop time. or during our interactive read aloud time (Guiding Readers). HINT: Deanna Jump and I are working on an Interactive Writing unit that should be out by early June. Stay tuned! Guided writing usually takes place during our guided reading time. You can go back to THIS post to read more on that. These are also included in our Leveled Text units. Honestly, students are writing all day long, but we set aside time for them to write on a subject of their own choice during writers workshop. This is the time to confer with students. 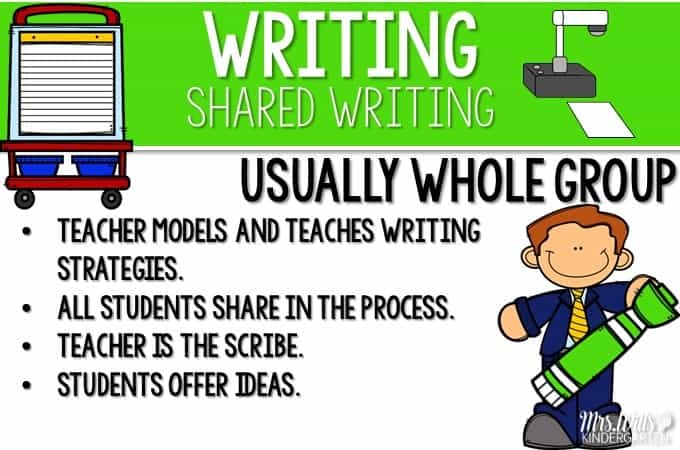 Remember, the point of conferring is to change the writer, not the writing! You can see the writing blog links I listed above to learn more about this. 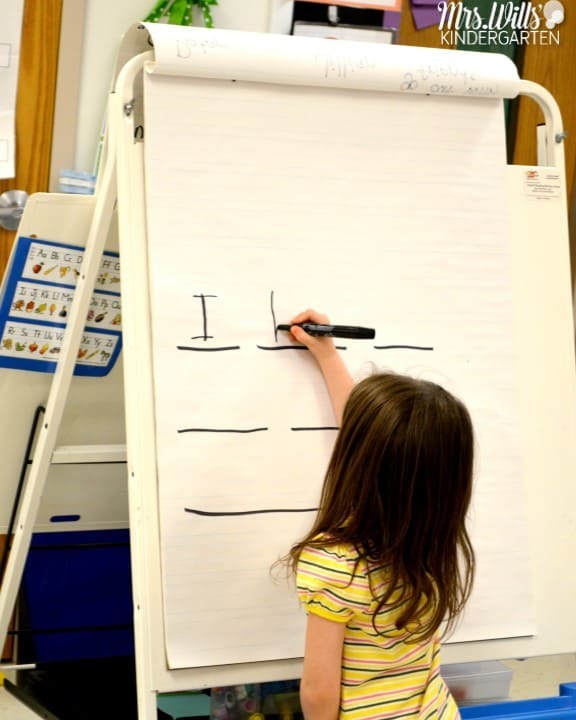 Again, HERE is where you will find our writing curriculum for kindergarten and first grade. I had a few people ask me about the timing of these activities. I wrote a blog post at the beginning of the year that talks about my schedule. You can read that HERE. I sure hope this answers your questions, but please, leave a comment if you have more questions! Hi there! Great question. I added a link to the post to help. But here it is again for you. I’m so excited you are working on an Interactive Writing resource!! I need help with that! Hi, Deedee! This post just “SPELLS” the meaning of Balanced Literacy out so perfectly! I know that when I really thought my instruction out in Balanced Literacy terms, my students were so much more successful! Thanks for all the points and the links in this post. I will cross reference it many times I’m sure! Right now, I want to be better with my Guided Reading time. A lot of times it does turn into a Round Robin lesson and that is never my intent. 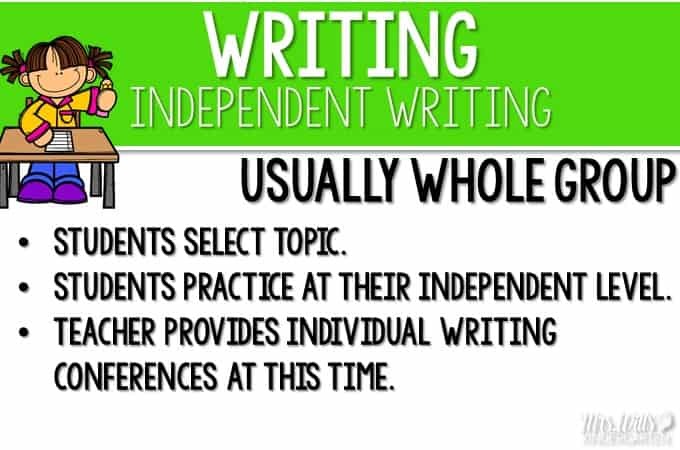 And for me, my independent writing time gets pushed by the way side due to not being intentional and making sure they get this time in their day. So reading this, inspires me to make these 2 parts of Balanced Literacy work because they are both very important. 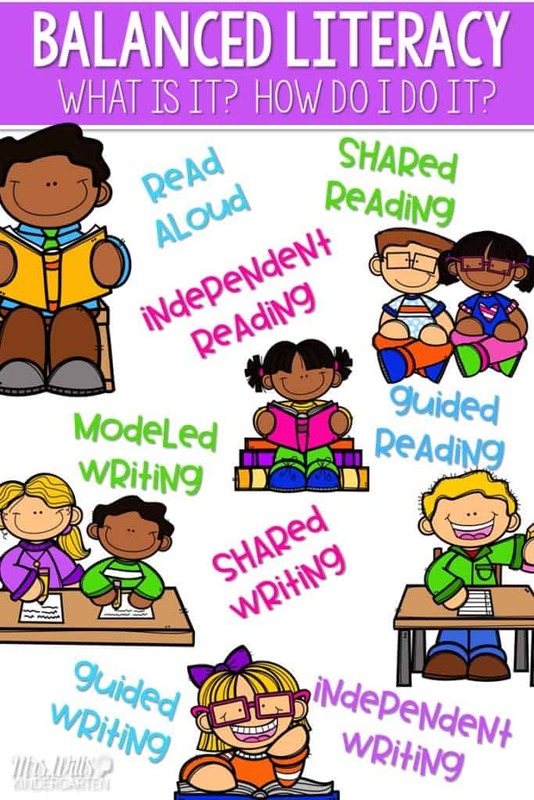 As I always say, I am a big fan of the Guiding Readers Resources and the Poetry Stations and Shared Reading Resources and many other resources that you and Deanna create. Thanks for all of your hard work! 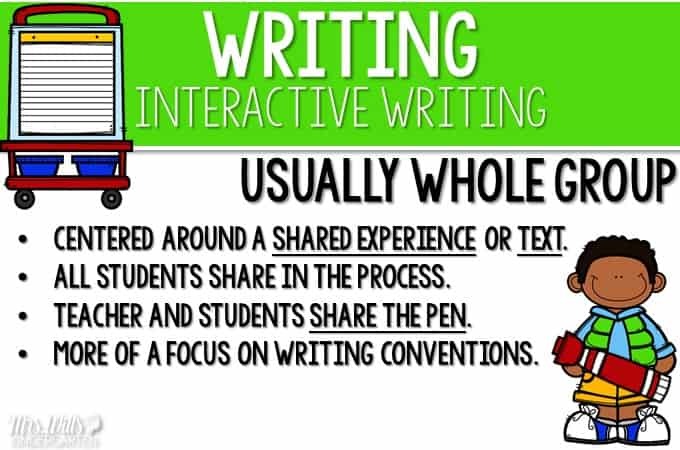 Looking forward to seeing the interactive writing unit in April. Woo hoo!!!! Thank you so much!!!!! This post is amazing! Thank you so much for sharing. 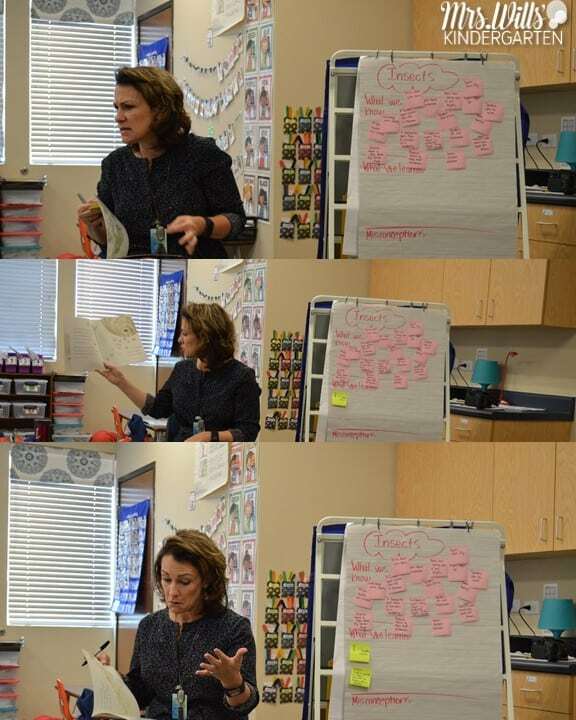 I was wondering if you can share the “posters” from this post where you illustrate what the teacher does and what the students do for each section of guided reading. I’d love to be able to print them out as a reference/checklist. Let me know if you run into trouble with that. I use some of the things you have described in your blog but am having a hard time answering the following question. Can you please help me? 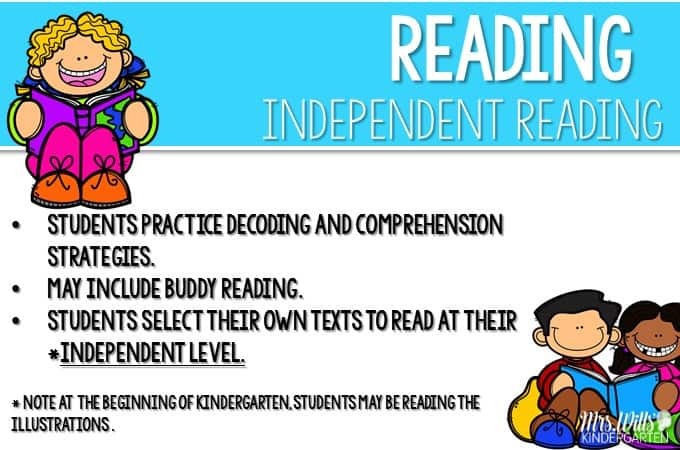 I teach kindergarten and have used some of these things but haven’t done them under what is called Balanced Literacy. 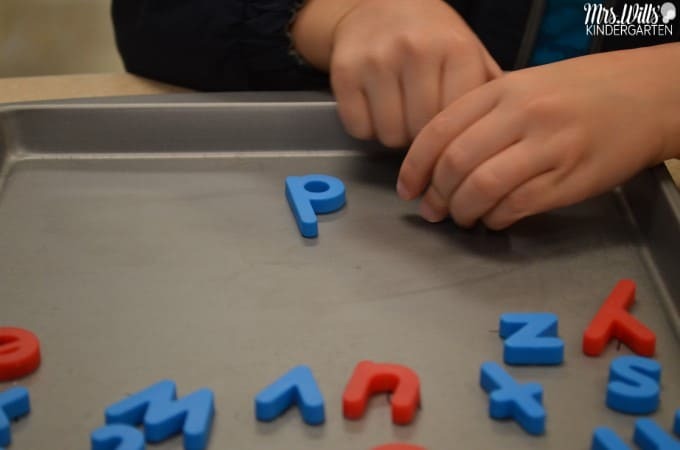 When it is asking for the specific strategies, does that mean for example One strategy would be Read aloud and one would be guided reading, and one would be phonics usage? Literacy: Literacy is integral to student achievement in all subject areas and grade levels. In 300 words or less, describe three specific strategies you have used in the past to incorporate Balanced Literacy into your classroom instruction. Hi there! I have always called the various aspects of balanced literacy an approach or component. I have not really termed them a strategy. 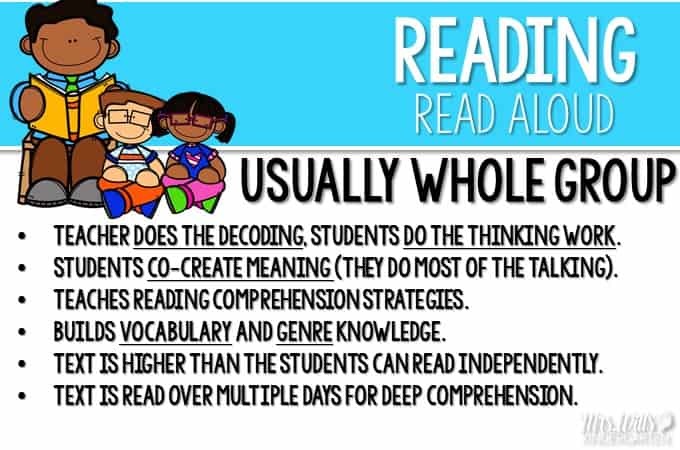 I would say the components of balanced literacy are the ones listed in this blog post. The strategies are incorporating ongoing formative assessment data into your lessons so you can differentiate your instruction to meet the needs of your students. 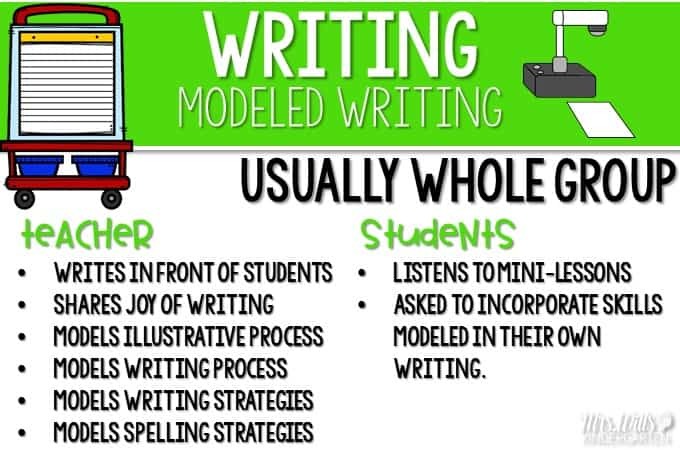 I would say this carries into other subject matter such as science, math, and social studies as you continue to scaffold your instruction to meet the wide variety of your students. This may be a college course question and I may have just given you a bad grade answer. HA! I would see clarification from the person who asked this question so you can have a better-informed response. I’m sorry to bother you but I have been watching your webinars. 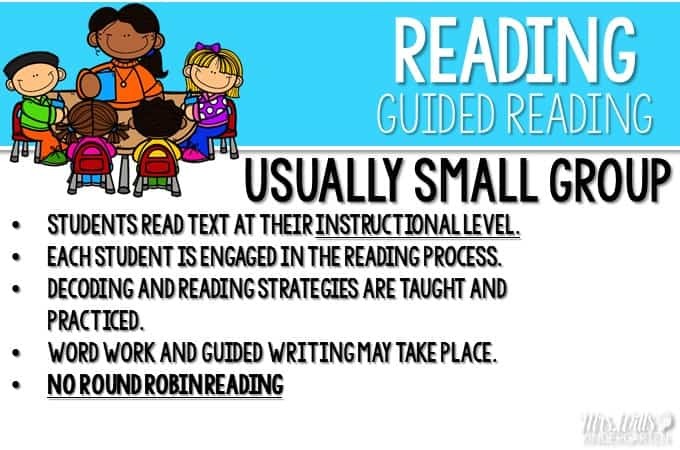 As much as I can get of them, and I watched the one about guided reading and I was trying to find the bookmark that you used in the webinar but I cannot find it anywhere. I looked in the available download and didn’t see it there. Could you help?? Thank you so much!! No problem! Here is a link where you can find it!